The Maldives (/ˈmɒldiːvz/ or /ˈmɔːldaɪvz/ ( listen); Dhivehi: ދިވެހިރާއްޖެ Dhivehi Raa'jey), officially the Republic of Maldives, is a South Asian country, located in the Indian Ocean, situated in the Arabian Sea. It lies southwest of Sri Lanka and India. The chain of 26 atolls stretches from Ihavandhippolhu Atoll in the north to the Addu City in the south. 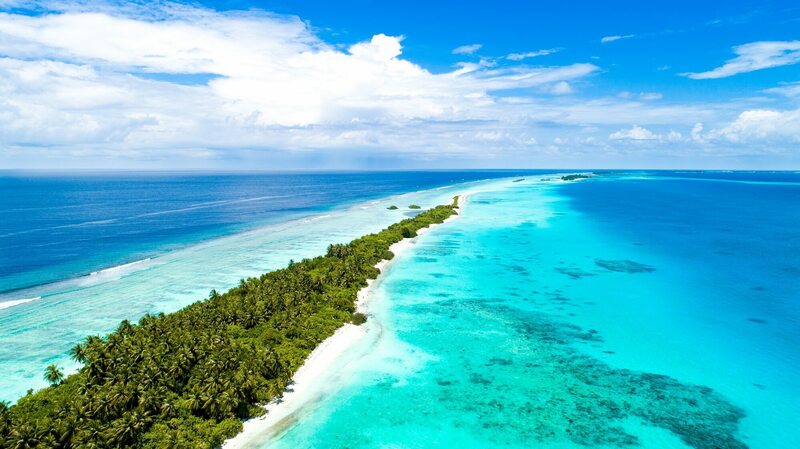 Comprising a territory spanning roughly 298 square kilometres (115 sq mi), the Maldives is one of the world's most geographically dispersed sovereign states as well as the smallest Asian country by land area and population, with around 427,756 inhabitants. Malé is the capital and most populated city, traditionally called the "King's Island" for its central location.